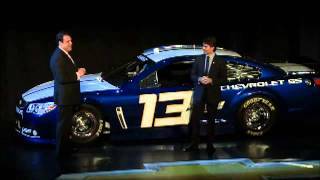 Chevrolet has revealed the 2013 NASCAR Chevrolet SS during a special event in Las Vegas. 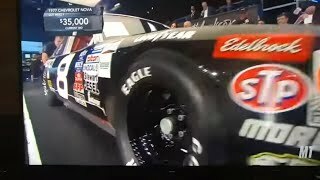 The new NASCAR race car closely resembles the all-new rear wheel drive V-8 Chevrolet SS performance sedan that will debut early next year. 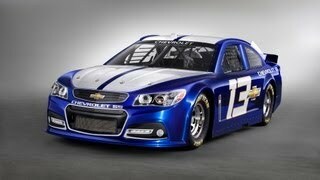 Powered by the legendary small block V-8 engine, the rear-wheel drive performance sedan will be Chevrolet’s newest entry in the NASCAR Sprint Cup Series, beginning with the 2013 SpeedWeeks in Daytona, Fla.
Chevrolet SS is the next in a long line of famed nameplates that Chevrolet has campaigned in NASCAR. 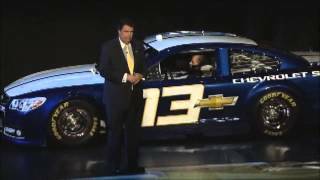 It replaces Impala, which scored 151 wins from 1959-64 and 2007-12.